David Moses can chop through a 20-inch cottonwood log as if it’s a toothpick, and the 50-year-old Native American from the Puyallup tribe who resides in to Snoqualmie, Washington has timber sports in his blood. 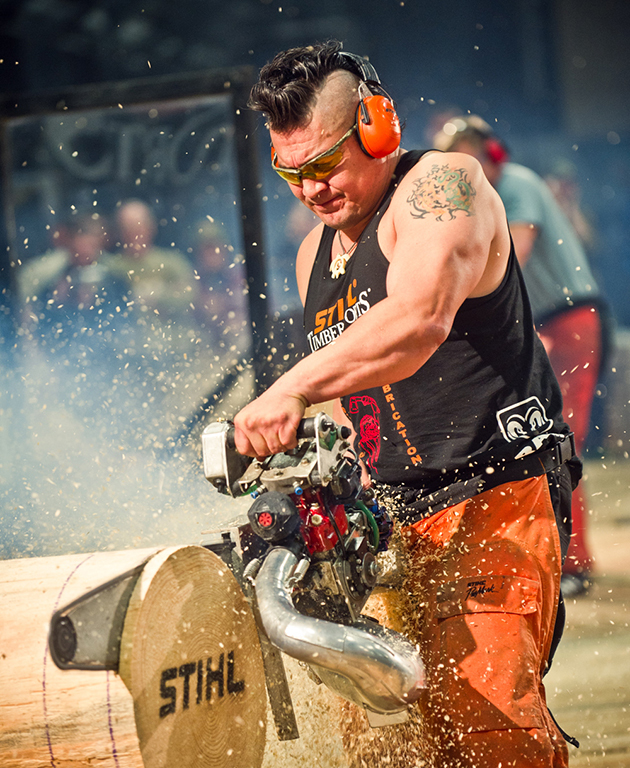 So it's no surprise that his training ahead of the STIHL TIMBERSPORTS​ championships is as sharp as ever. While hockey players might grow playoff beards that make them look like lumberjacks, a real timber sports athlete opts for a different grooming technique to prepare for competition. Although David Moses can chop through a 20-inch cottonwood log as if it’s a toothpick, it’s usually the top of his head that attracts the most attention. But Moses is known on the STIHL TIMBERSPORTS Series circuit for more than his hairstyle. The 50-year-old Native American from the Puyallup tribe who resides in to Snoqualmie, Washington has timber sports in his blood. His father, David Moses Sr., and grandfather both worked in the timber industry and competed in regional events. David Jr. followed. 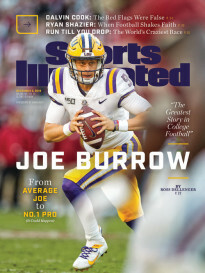 When he was 26, he sought out his father and asked if he would be his coach. David Sr. agreed. There was one condition: his son had to stick with the sport the entire season. David Jr. kept the promise and then some. Now, 24 years and hundred of events later, Moses is one of top competitors on the STIHL series, which he joined in 2005. He finished fourth in the series in 2013 and was also a member of the US relay team that took home the silver medal at the World Championships in Stuggart, Germany. After advancing through the Western Qualifier this May, Moses will look to build on that performance when he wields his ax and chainsaw in Central Park at this year’s U.S. Pro Championship on June 20. Keep reading to see how Moses excels at the original extreme sport and how his sole focus going into New York isn’t just to cut down the competition. 50 years old 5' 11" 255 lbs. Training grounds: Snoqualmie, Washington. Moses owns a plot of land known as the “Yard” where he simulates all six STIHL series disciplines: the standing block chop, the stock saw, the hot saw, the single buck, the underhand chop, and the springboard chop. When he’s not laying down the lumber, Moses heads to Sculptor Fitness where his trainer, Debbie Lucas, puts him through a grueling regimen of CrossFit workouts. Biggest physical challenge: Achilles Injury. In the semi-finals in 2012, Moses tore part of his Achilles tendon in the springboard event—where competitors chop pockets into a 9-foot poplar pole with an ax, place 6-inch wide springboard platforms into the pockets, then use the the springboard to construct a temporary staircase. When the board fell out, so did Moses’s confidence. Gradually, it returned. Moses came back to win the Springboard Chop in the Western qualifier in 2013. “It took me a while to get over falling and regaining the trust that my board will hold,” he says. : Moses attempts to stay away from fast food as much as possible. Before competition he tries to increase his protein and carb intake to give him energy to complete all six disciplines. On his daytime job: Although Moses has the physical build of a modern Paul Bunyan, he does not devote all his time to timbersports. Instead, he also operates a tile and marble laying business with his wife Annette, who has competed in international timber sports events for over a decade. 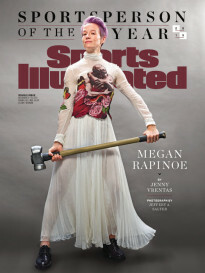 She even earned a spot on the US women’s timbersport team. But, like any good marriage, there is give and take. “Before the STIHL series my wife takes smaller jobs so I can dedicate more days to training,” Moses says.